Roasted radishes are a great side dish, can be served as an appetizer for the cocktail hour, eaten as a snack, and are a good replacement for starchy foods. Roasted radishes are a great side dish, can be served as an appetizer for the cocktail hour, eaten as a snack, and are a good replacement for starchy foods. Plus you can prepare them in few minutes. Clean the radishes and cut the ends. Cover a baking sheet with aluminum foil and spray some PAM Cooking Spray to avoid sticking. Add the cleaned radishes to the baking sheet and drizzle with olive oil. Making sure you cover each radish well. Season with the adobo seasoning with cumin and add the black pepper. Add the lemon slices to the tray and roast on high (above 450 grades Fahrenheit) for 10 minutes or less. Plate and add a dash of red pepper to finish. 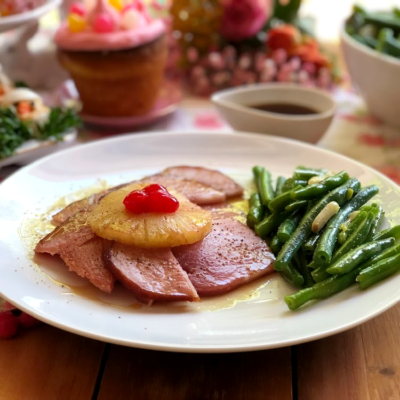 Recently I discovered that radishes can be prepared in many interesting ways including grilling and roasting so I decided to test a new recipe for roasted radishes and came out absolutely delicious. Radishes in Mexico are usually eaten raw, with salt and lemon juice or used for garnishing soups, adding to salads and for pozole. For this recipe I am using fresh radishes, adobo seasoning with cumin, black and red pepper. I have paired the radishes with yellow lemon slices slices to make this dish even more flavorful. 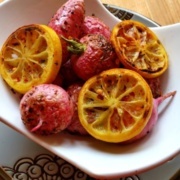 The roasted lemons slices are a nice addition since provide a bright flavor that contrasts well with the spices and the smokiness of the roasted radishes. Roasted radishes are a delicious side dish and can be served as an appetizer for the cocktail hour. Sometimes we don’t believe these vegetables can be part of our diet and that they are a good replacement for starchy foods like potatoes. 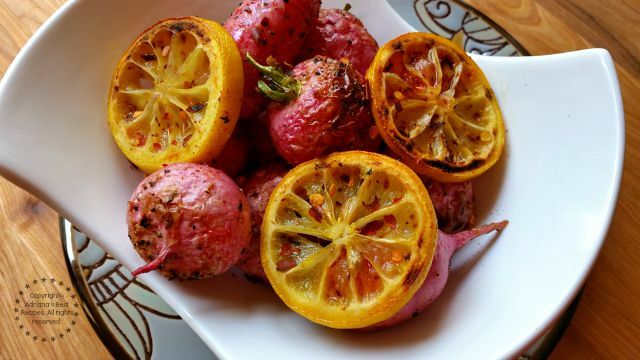 Roasted radishes are a sensible option and pair well with grilled steak, fish, chicken, kabobs dinner or as a snack. Radishes are also inexpensive and can be found almost all year long. 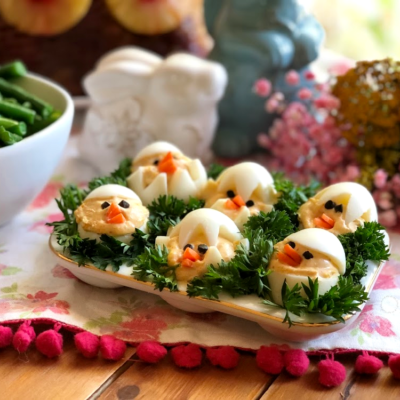 They belong to the cruciferous family, same as the kale, daikon, cabbage, brussels sprouts, kohlrabi, broccoli, cauliflower , rapini and wasabi to mention a few. Cruciferous have a pungent spicy flavor but when roasting or grilling them this flavor mellows down and makes the roasted radishes a true delight. 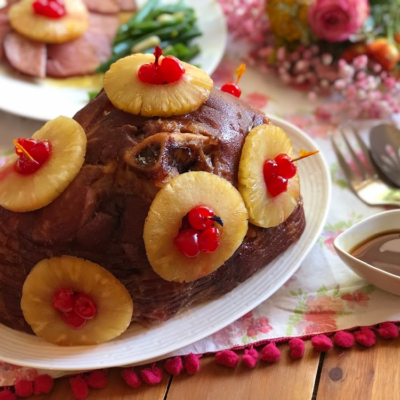 Using cooking techniques to enhance the flavors of certain meals is the correct trick to get to results we want to offer a flavorful dish to our family and friends. 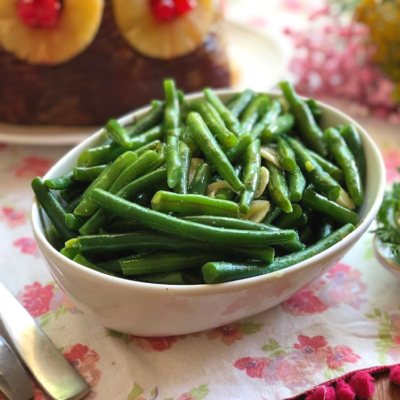 I have found that roasting vegetables is an easy way to preserve the vitamins and also to enhance the flavors. 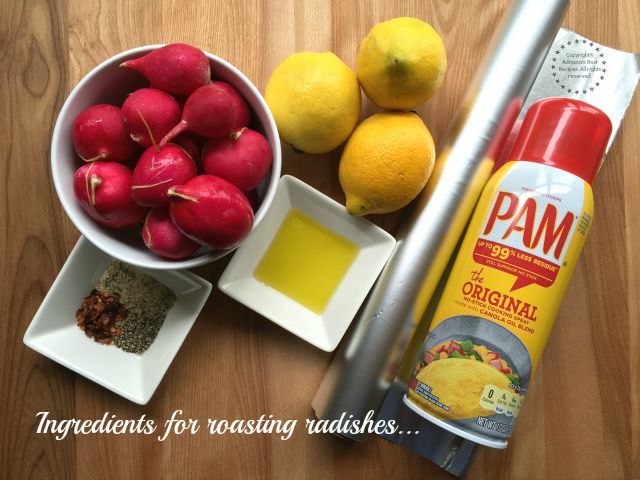 I like to use olive oil and also PAM Cooking Spray to achieve the perfect roasting. 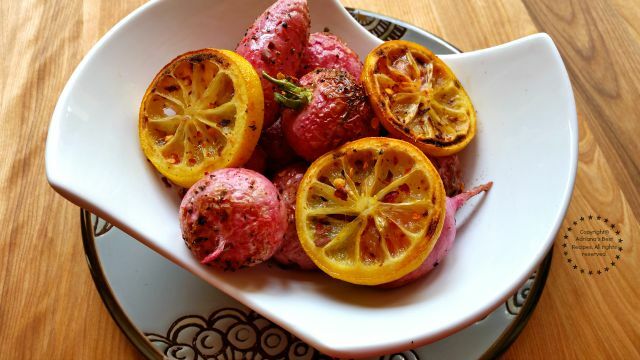 I invite you to try these roasted radishes, I am sure you will love them and will become a staple in your own kitchen! 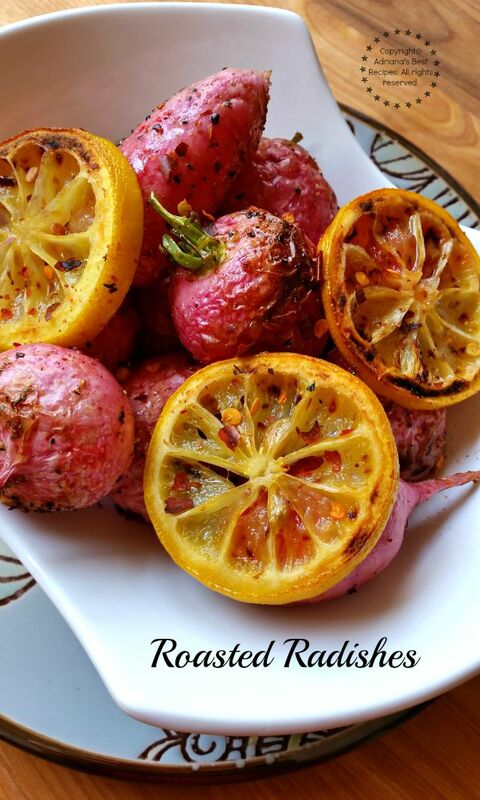 I absolutely adore roasted radishes. I haven’t made any this season, I think I need to remedy that. Adobo just put these over the top. 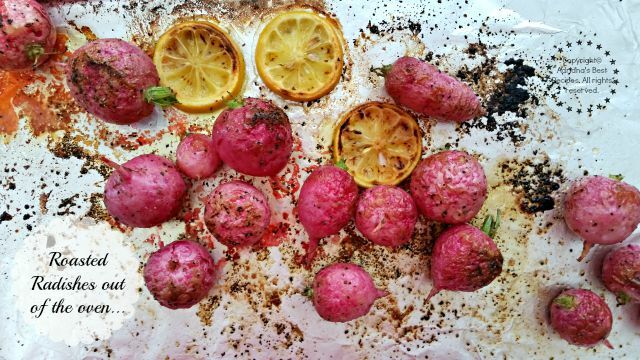 Roasted radishes are so delish!! People seem to forget about them too often! What a great idea and they look so good, something fun and simple to make. Thank you for the recipe! Adriana, me sorprendiste con esta receta, la verdad no sabía esta técnica de hacer los rábanitos. La tengo que probar. Gracias! I love that you kept the radish whole. 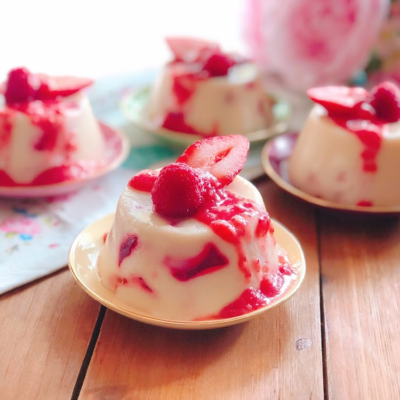 It is a gorgeous presentation for a delicious recipe. I have never cooked radishes before so this recipe is perfect for me! 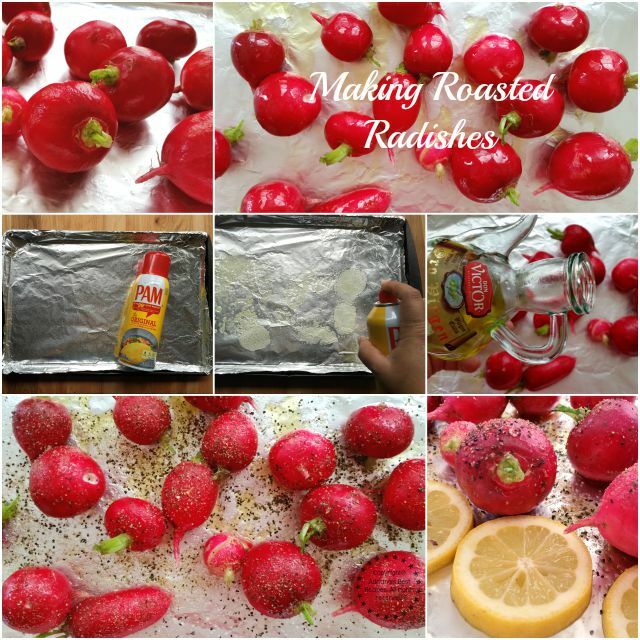 I am excited to give roasted radishes a try! Que delicia. Un gran plato para preparar en estos días. Ya tengo la receta!. This recipe is super original! Love it! 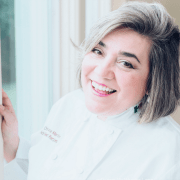 You are so right that the cooking method can make all the difference in the way an ingredient behaves. 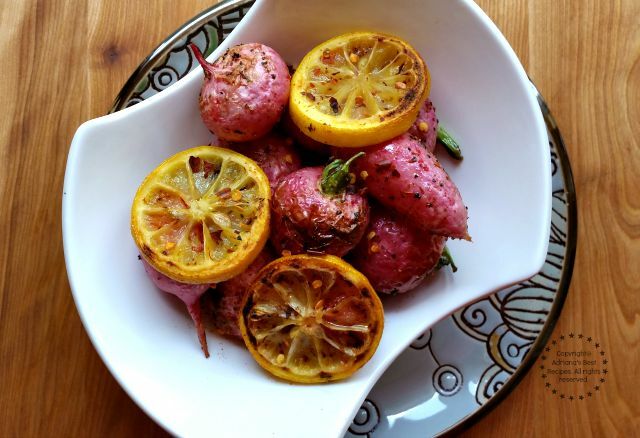 I’ve heard that radishes mellow and get sweeter when roasted or grilled, and I’ve been meaning to try it. Love your flavor profile here! We always eat radishes in salads since my husband looooooves them. I will show him the recipe to see if he would like to give them a try roasted. Thanks for sharing! I need to try this side dish! Look amazing! This sounds like a great idea. The natural kick of the radishes sounds really good with those spices. Looks delicious! pronto la estaré haciendo en casa, me llevo tu receta. Adrianna, those radishes look positively DIVINE!! I cannot wait to try your recipe. Hace tiempo que no como rábanos, me gustan mucho pero solamente los había consumido en ensaladas, me encanta como se ven en tu receta, ya la guardé para el fin de semana. Muchas gracias ! I haven’t had radishes in a very long time. My mom used to put them in salad. This does sound like an interesting dish. Thank you for sharing. Oh boy!! These look delicious. I love that they’re very easy to make. Perfect side dish! Realmente se ve delicioso y la combinación de vegetales me parece muy interesante. I’ve never been a radish person but I do like roasted veggies. I think this would be great! Looks delicious! I don’t think I have roasted radishes before. We do like them cooked so I will have to give your recipe a try very soon.